Russia and the United Kingdom have never been closest chums, but then neither have Russia and the European union. So when the UK voted to leave the EU, the enemy of Russia's enemy became friend. 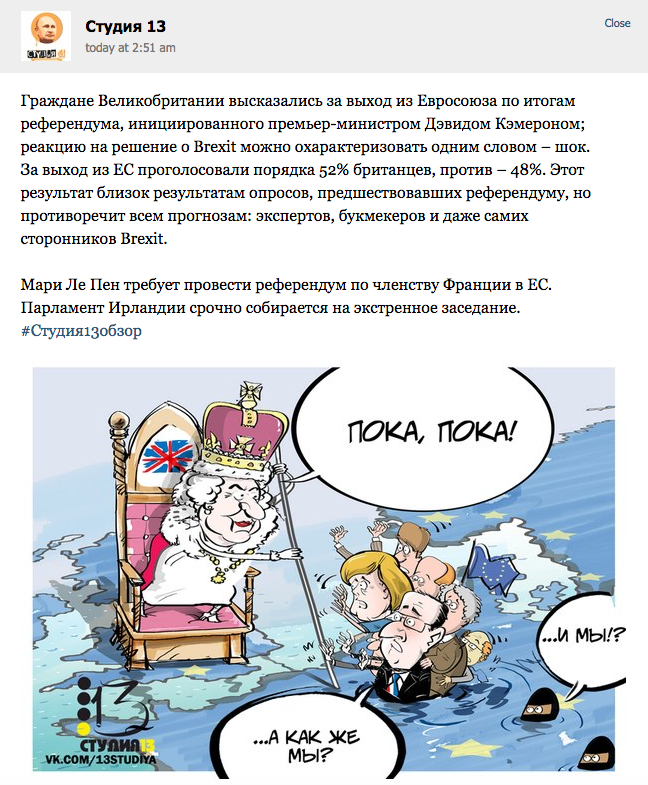 Russians are, apparently, BIG fans of Britain's Brexit and how it hurts the EU. The EU imposed economic sanctions on Russia in response to its annexation of Crimea beginning in 2014, and its support of Ukrainian separatists. 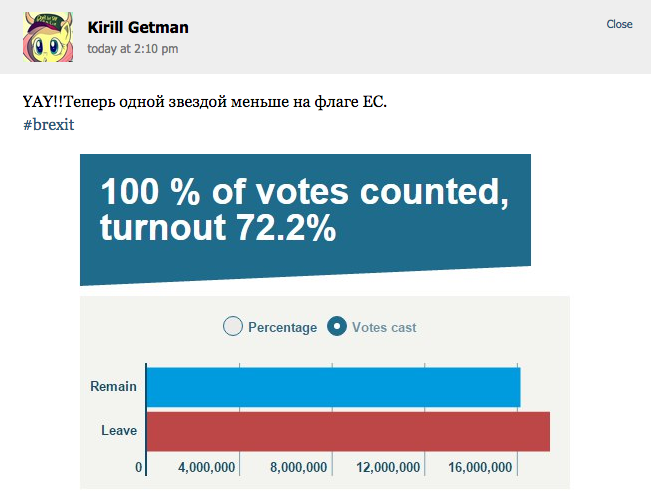 That incursion, in turn, was a response to pro-EU protests in Ukraine. Russia pressured Ukraine's then-president to back away from a possible EU membership, which ultimately resulted in the government being overthrown. Current president Petro Poroshenko signed a treaty with the European Union several months later, so Russia didn't get its way, even if it did get Crimea back. Basically, Ukraine's people and government chose the EU over Russia, and Russia's been sore ever since. So seeing the EU lose another, far more valuable appendage seems to have struck a chord. Ukraine's response to the vote, by the way? Its Twitter thirst continues.
.@GREATBritain, hope #Brexit won't affect our partnership and we'll remain defending European values! 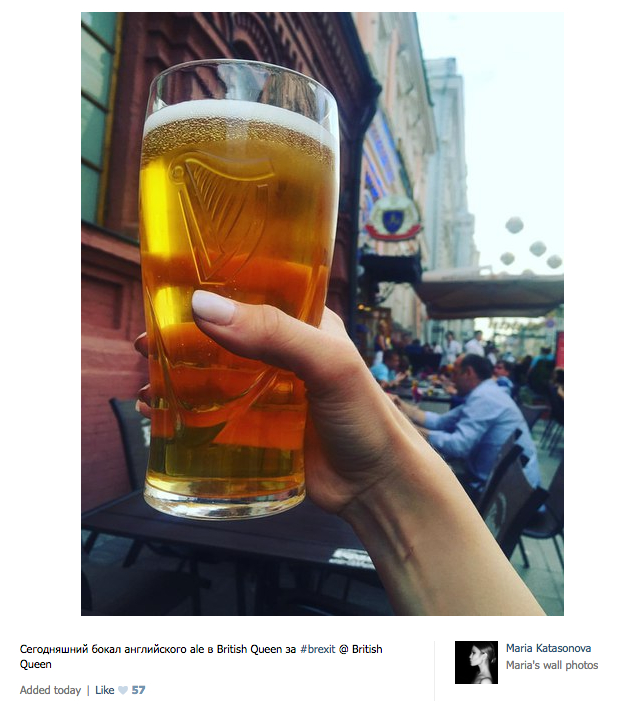 On Russia's Facebook-like social network VK, the mood was cheery. "Yay! Now there will be one less star on the EU's flag. 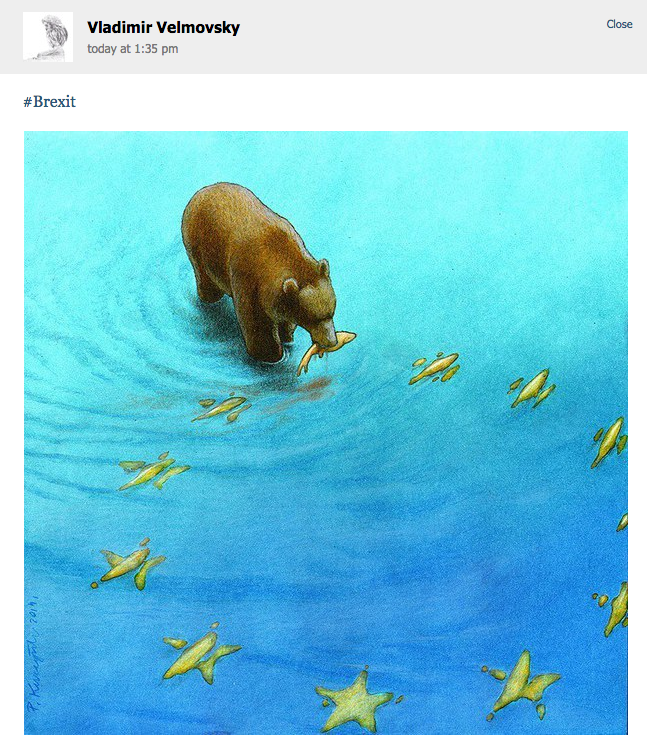 #brexit"
A symbol of Russia eats one of the EU's fish. Queen Elizabeth II says "bye bye!" leaves the EU leaders to drown, and they (and possibly ISIS supporters?) ask "what about us?" "Today we'll drink a glass of English ale for #brexit"
President Vladimir Putin said that he understood Britain's decision, because "no one wants to feed weak economies" and the EU's "migration process" was making Britons feel less secure. 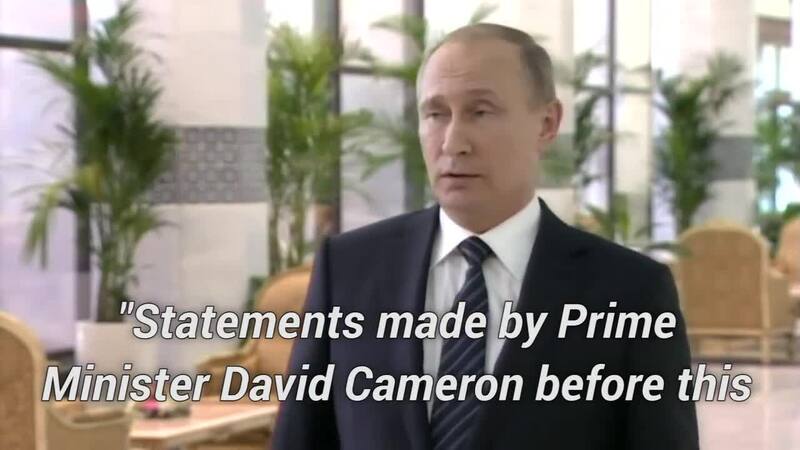 Putin also bristled at career-torpedoing British prime minister David Cameron's attempt to win remain votes by saying Putin would want British people to vote to leave, saying it was "low-level political culture" for Cameron to claim he knew how Putin felt about the Brexit vote. The post Guess Who Is Loving The Brexit Vote? The Russians appeared first on Vocativ.